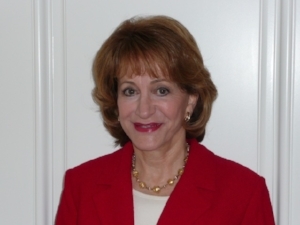 Georgia L. Mercer retired as President of the Los Angeles Community College District (LACCD) Board of Trustees in 2011. Ms. Mercer had been a member of the Board since 1998, having served twice before as Board President and three times as Vice President. During her 13-year term on the LACCD Board, Ms. Mercer was instrumental in the passage of 3 bond measures equaling $6 billion to complete and modernize the LACCD’s 9 campuses and support facilities. Ms. Mercer served as the President of the statewide board of of California Community College Trustees (CCCT), having been first elected by her statewide colleagues in 2002. Additionally, she served on the Implementation Oversight Committee for the State Chancellor's Strategic Plan. Ms. Mercer was also a member of the Foundation Board at California State University, Northridge. Before becoming a member of the LACCD Board of Trustees, Ms. Mercer served as Los Angeles Mayor Richard Riordan's representative to the West San Fernando Valley and the citywide Women's Community and Jewish Community. Previously, she was Director of Public Affairs and Communications for Planned Parenthood/Los Angeles. Ms. Mercer currently serves on the Advisory Board of Careers In Culinary Arts LA (CCAP/LA) as well as the Women's Political Committee, where she was co-chair from 2011-2013. She has also been a docent at the Autry Museum of the American West since 2011 and a Court Appointed Special Advocate (CASA) since 2013. Previous community involvements include: Founding President of the New Reform Congregation, Board of Directors and Foundation President of Valley Presbyterian Hospital, President of the Juvenile Justice Connection Project, President of the Los Angeles City Human Relations Commission, Member of the California Task Force on Civil Rights, and Member of the State Advisory Committee on School Finance Equalization. Ms. Mercer earned a Bachelor's Degree in Education from California State University, Los Angeles. She attended the UCLA Anderson Graduate School of Management Executive Program, was an instructor of Group Counseling for Women at UCLA, and taught at Danube Avenue Elementary School in the Los Angeles Unified School District.